Most people expect to receive something when it’s they birthday but it’s the other way around for this celebrant. On his 70th birthday, ice cream Jimmy Teng gave away free ice cream to some of his loyal customers. 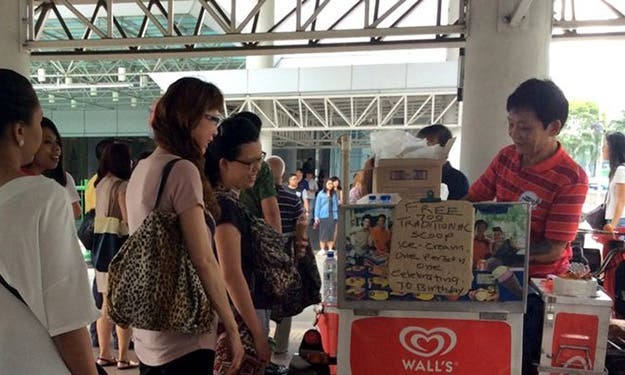 In Singapore, Teng has an ice cream stand outside Lavender MRT station. On his birthday, he didn’t make customers buying his ice cream pay. Some insisted on paying while others gave him a red envelope. 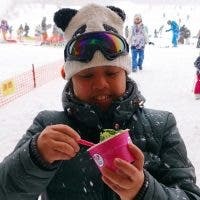 On his Facebook page,Teng announced that he will be giving away 700 servings of ice cream but he prepared 1,000. He was able to give out 900 service in just six hours. Everyone wished him a “Happy Birthday.” With every greeting, Teng’s smile grew wider and wider. He said he was very happy because of this that he wouldn’t be this happy even if he won the lottery. How about you? How do you usually celebrate your birthday? 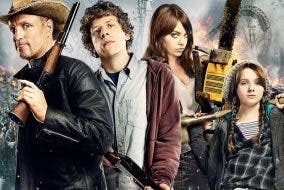 Zombieland 2: Is It Really, Finally Happening?